I wish I'd ordered take away instead of eating out the 2nd night! Medium sized hotel with a cosy atmosphere. Mainly european staff, in the most part friendly although we didn't have many questions. Well maintained communal areas, tired looking room ( we were in a 2 room suite). Wonderful lake views. Thankfully it wasn't me driving the distance to the Lakes. The motorway journey reminded me of what it must be like for a child on a long drive. I only wish I had the capability to sleep in a car. However as I approached the Lakes my expression and excitement were clearly apparent. Winding country roads alongside large shiny lakes, twinkling because of the icy air. Opening the window whenever I was warm enough to risk it, breathing in as I perceived it to be 'clean' and 'fresh' and enjoying the setting sun on my face. The hotel itself was in a beautiful position. We were looking for a comfortable hotel in a quiet setting. It certainly ticked those boxes. The hotel is named after the waterfall which is accessible round the back of the hotel. There were no local shops within walking distance but the jetty to take you around e lake was nearby, and there were plenty of recommended walks around the vicinity too. Dinner on the first night was included. We were joined in the dining room by some friendly older couples who seemed to be regular visitors. Most residents appeared to be in the over 60 range. Dinner was OK. Friendly staff and decently prepared food. We enjoyed it. Guests can book the external hot tub in advance which we did and which was lovely but you could be met with walkers and guests walking past you to get to the falls! By this stage there was a lot of rain and my paranoia about guests seeing me in my swimwear made me head indoors. That night we decided to try the number one rated restaurant on Tripadvisor (at the time)in Keswich. The Taste of Thailand at the Shemara guesthouse. Seating for about 12 people in the breakfast room of a small guesthouse. A family business trialling out Thai dining. Unfortunately our experience wasn't good at all. Starters of pork ribs were tiny and chewy and fish cakes that were dry. Main course was equally poor with lack of flavour and what tasted like reheated food. However, the service was incredibly friendly, so much so we still left a 12% tip! Im feeling guilty jus writing this, but I love Thai food and that had to be the worst Thai meal I've ever had. Priced at about £55 for 2 courses for two people and no drinks, it was overpriced too. Perhaps they were having an off day. Breakfasts at the hotel were brilliant. Full English with a view of the hills (and the rain). Overall a wonderful pre-Christmas treat. 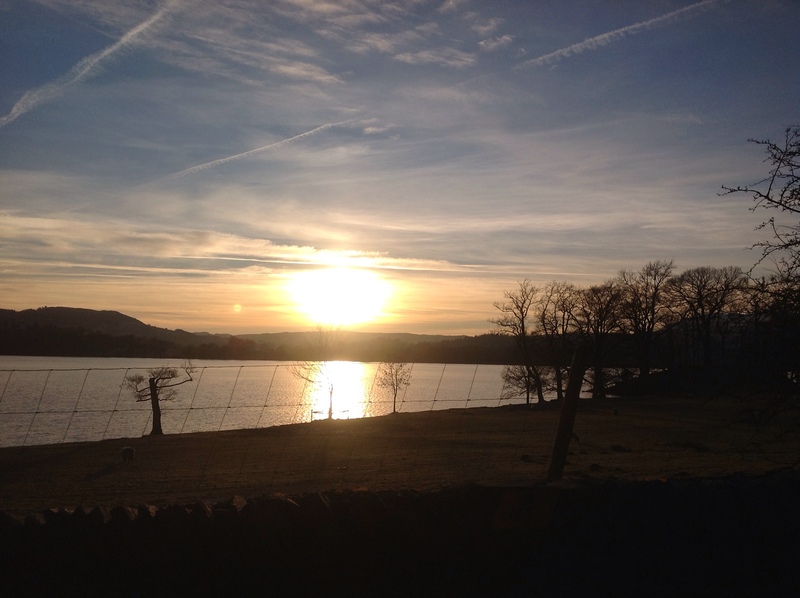 This entry was posted in travel blog and tagged borrowdale, christmas mini break, derwentwater, lake district, lodore falls hotel on January 9, 2013 by Psychtraveller.